Roosebeck 14.5 Inch Psaltery Bow Walnut & Mongolian Horse Hair. Psaltery Bow. Made of Solid walnut wood with Mongolian horse hair. It is very light and easy to play with. Rosin for bow is sold separately (item code:VR200). The Psaltery Bow must be rosined before it can play the strings. Rosin the ends of the hairs first, in short fast strokes, then rosin the full length from end to end. Rotate the rosin cake under the hairs as you drag the bow across. This rotation will maintain a flat surface and prevent a deeply grooved rosin which can damage bow hairs. A properly rosined bow will have rosin powder evenly distributed throughout the hair. Never handle the hair of the bow with your hands. Oils from your skin will leave permanent slick spots that will inhibit retention of the rosin powder. 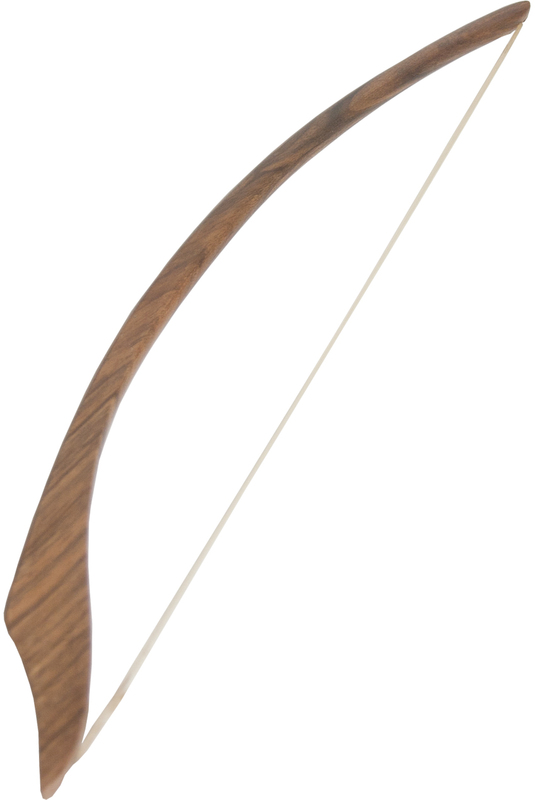 The overall length of the bow is 15 1/4". The length of unsupported hair (draw) is 13 7/8". Clean your bow with a soft dry cloth after each use. The Roosebeck Microfiber Polishing Cloth is sold separately, and is perfect for cleaning the bow (item code RBSMFPI). Broken or loose hairs are not uncommon and will not affect the playing characteristics of the bow. If a hair breaks do not to pluck it out. Carefully cut the hair, leaving a little bit at both ends.